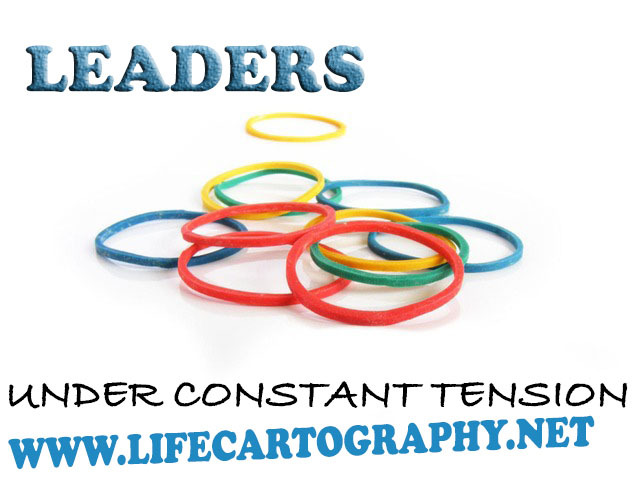 You are here: Home / leadership / Leadership and the rubber band effect. On any desired leadership traits questionnaire, invariably those being lead want their leaders to be flexible. Adaptable. And while I agree 100% with this desire, there is a current reality faced by most leaders that is destroying flexibility. Demands on leaders across the board have increased. Do more with less. Stretch yourself. Live in the tension. Except when you put a rubber band under constant tension for an extended amount to time. Then we all know what happens. They lose their flexibility and easily break. Extended seasons of tension take the flexibility, take advantage of it, and you end up with something that is certainly not as durable as other forms of string, and very often far more fragile. The Ancient Jewish system of Sabbath became an abused religious duty. Yet the understanding behind it is light years away from the greatest leaders of yesterday and today. Sabbath was rest. Not because life didn’t go 24/7 then. Nomadic herdsmen with thousands of cattle and sheep to look after. Tents that needed repairing. Food that must be prepared daily. Because of limited storage, you are one harvest away from starvation. Raiders, invaders, being called up to fight in the army at any time. Life certainly had constant tensions. A day off made no sense, unless it makes complete sense. The idea was that once a week, the tension comes off. There is an acceptance that “today, I can’t do anything to change my situation. Today, I must let it go and rest.” Sabbath was a forced rest. Jesus called it a gift to mankind. No one can be under constant pressure forever and not lose flexibility. If you find yourself not able to bounce back, not able to be flexible, perhaps ask yourself these questions. Where is the constant pressure in my life? Have a stretched myself too thin? Am I afraid of losing control? Leave a comment on Facebook or twitter.